The fat soluble Vitamin E is actually a combination of chemical compounds that include alpha-tocopherol. All tissues in the body contain Vitamin E, but the largest quantities are located in the pituitary glands and the suprarenal glands. Since the body does not produce this vitamin, it must rely on the diet or supplementation for its recommended daily requirements. 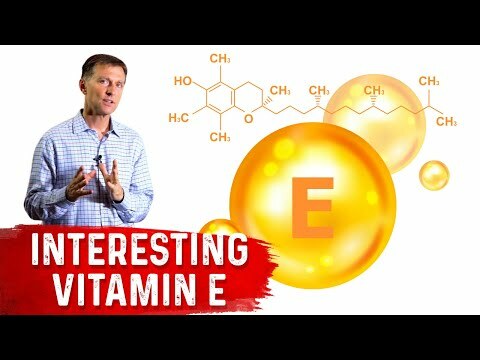 Vitamin E is another of the important vitamins that benefit the body in many different ways. First and foremost, it has antioxidant properties which neutralize free radicals and protect the body against the damaging effects they can cause. Along with Vitamins C and Vitamin A, these antioxidants help slow the aging process and can help prevent prostate and other types of cancer. Another important benefit of Vitamin E is that it helps keep LDL levels low. LDL is the bad form of cholesterol that over time can build up within the walls of the arteries and lead to heart disease and blood clotting. Vitamin E encourages the proper development of muscles. It can help boost the effectiveness of the immune system, primarily by making it more resistant to bacterial and viral infections. Working together with Vitamin C and beta carotenes, Vitamin E can help prevent the development of cataracts. Vitamin E is abundant in many different types of food. Sweet potatoes and mangoes are rich in Vitamin E. Several oils including sesame, sunflower, peanut, safflower, olive, soybean and corn are good sources of Vitamin E. Nuts also contain sufficient levels of Vitamin E making walnuts, Brazil nuts, hazelnuts, sunflower seeds and almonds excellent snack foods. Butter, margarine, eggs, wheat germ, wheat germ oil, soya, yams, spinach, broccoli, corn, avocados, fortified cereals and liver are other good sources. Green vegetables, however, contain small amounts of Vitamin E.
Note that food storage and preparation can significantly deplete the Vitamin E content of these foods. Freezing, processing, preserving and exposing these foods to air are the biggest Vitamin E degraders. The recommended daily intake of Vitamin E is 12 milligrams. However, people who smoke cigarettes are advised to increase Vitamin E levels to counteract the increased stress on the lungs that is caused by cigarette smoke. Interestingly, air pollution can cause the same type of lung stress so those living in areas frequently subjected to air pollution should also increase their daily intake. Since Vitamin E is contained in so many different foods and because the body is capable of storing this fat soluble vitamin, Vitamin E deficiencies are very rare. However they do occur and the symptoms can be severe. Gradual degradation of the kidneys is one notable risk associated with this type of deficiency. Reproductive problems including infertility as well as an increase in the risk of a miscarriage are also potential problems. Lethargy, anemia and an overall loss of balance are other symptoms adults with a Vitamin E deficiency may experience. And if not addressed, over time, the body will simply begin to waste away.